An excerpt from The Beverly Hills Supper Club: The Untold Story Behind Kentucky’s Worst Tragedy by Robert D. Webster. This is the true untold story of what led to Kentucky’s worst tragedy – a story of greed, corruption, deceit, mafia rule, government cover-ups, kidnapping, and even murder. In fact, this book details what should now be considered as the worst case of mass murder in United States history. At first, I thought I had dodged a bullet. 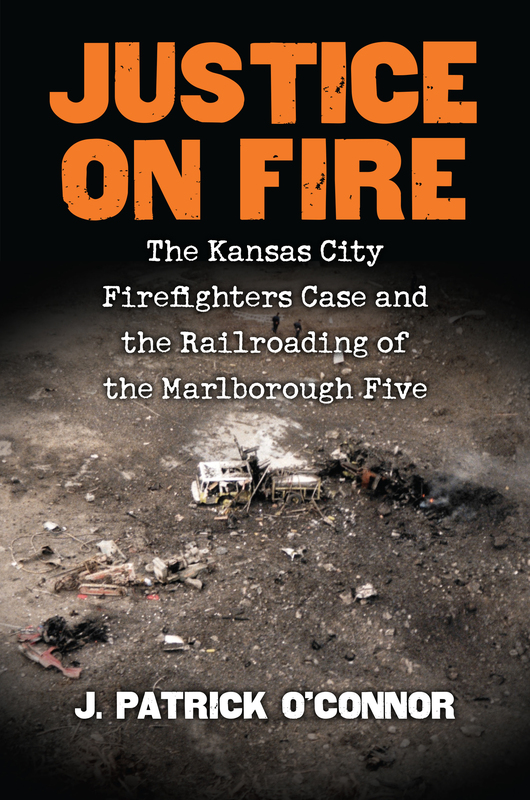 While I didn’t know everything there was to know about the fire, I certainly knew there had already been quite a lot written on the subject. The story was more than 30 years old, yet it was a topic that remained extremely familiar to residents throughout the region. Also, there had been very little written about the club’s early history and that greatly intrigued me. The place was a speakeasy in the 1920s, serving illegal alcohol during the Prohibition era. From the late 1930s to the early 1960s, it was one of the largest illegal gambling casinos in the entire Midwest – owned and operated by members of the Cleveland syndicate. A concise account of the club’s entirehistory might prove to be a great seller. However, the Beverly Hills Supper Club is bestknown for one particular event. On Saturday May 28, 1977, the Commonwealth of Kentucky experienced its worst tragedy since the great Civil War. The Beverly Hills Supper Club, located in the tiny town of Southgate in Northern Kentucky, was packed with people over the Memorial Day weekend, many to see popular entertainer, John Davidson. Before midnight, more than 120 bodies had been pulled from the burning structure and dozens more would be found the following day in what was the third-worst nightclub fire in our nation’s history. Within 24 hours, blame had been placed on the club’s owners with rumors of grossly overcrowding the many banquet rooms, having exits chained and locked, not installing a sprinkler system, having flammable furnishings, and for waiting as much as 20 minutes before calling the fire department. Governor Julian Carroll even issued a statement that criminal indictment against the owners were likely. Within days of the tragedy, a young, unknown attorney from Cincinnati named Stan Chesley began compiling a list of companies, from upholstery manufacturers and aluminum wiring companies to makers of ceiling tiles and seat cushions. He and a host of other lawyers would eventually sue in what was the first class-action lawsuit of its kind in the entire country. Though the officialcause of the fire was never determined during the initial investigation, hundreds of companies paid millions in out-of-court settlements during a series of civil trials which lasted years. Anyone over 30 years of age knows the story. It was arguably the biggest news item ever in the Greater Cincinnati/Northern Kentucky region. Nearly everyone you talk to either knows one of the dead, one of the injured, one of the lucky who escaped unharmed, or one of the countless others who had plans to be there that night that were cancelled. Still, was there a reason to write a book? Maybe the man on the phone would have that answer. David Brock was an 18-year-old busboy at the club. He explained that he and several other employees had told investigators from the very beginning about suspicious activities they had witnessed leading up to the fire. For whatever reason, these eyewitness accounts were ignored by both the Kentucky State Police and the various attorneys. He remained silent for years but, during a memorial in 2002 marking the 25th anniversary of the disaster, he learned from other employees that he was not alone in his beliefs of foul play. Brock began collecting evidence and, at the time of his telephone call to me, was convinced he couldprovethe fire was intentionally set! While intrigued, I explained that I was a nonfiction author and that I would not be interested in working on the project if it was simply going to be David Brock’s rendition of what happened that night. He asked that I give him just one hour of my time, and we agreed to meet. Brock’s account of what happened that day was absolutely incredible! Just hours before flames broke out in the club, he witnessed two maintenance men working in the ceiling of one of the party rooms. They explained to him that they were working on the air-conditioning system. Years later, he learned that there was no work scheduled by the club’s owners and, most curious, there were no air-conditioning units in that particular room in the first place. While becoming more interested, I explained that I still needed concrete evidence, not just hearsay or speculation. That’s when he opened his briefcase. Over the following three months, I studied his research and then began my own investigation through the original newspaper accounts on the fire and its aftermath. I read through numerous witness statements and other documents Brock had obtained from the Kentucky State Police files. 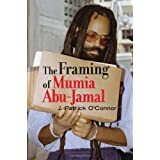 I also researched the club’s early history, including well-documented evidence to support the mafia’s total control over the club in decades past. While I had yet to see clear proof indicating arson, my research indicated that the initial investigation by the Kentucky State Police was seriously flawed. I had to learn more. A group comprised of local researchers and fire investigation experts from around the country started what became a five-year-long reinvestigation. These professionals included the renowned Glenn Corbett, professor of fire science at New York’s John Jay College of Criminal Justice; Rodney Raby, former two-time Kentucky State Fire Marshal; and Beau Gros, fire investigation instructor and guest speaker. The group combed through thousands of pages of files archived at the Kentucky State Police records room in Frankfort and the National Archives and Records Administration in Atlanta, Georgia. Files from the National Fire Protection Association and the Consumer Products Safety Commission were also studied. Hundreds of individual depositions taken during the initial investigation were also perused, as were hundreds of photographs taken by the Kentucky State Police. What was discovered within the boxes of material that had been collecting dust for decades was absolutely astonishing! I was convinced this was a story that hadto be told. This is the complete history of the magnificent Beverly Hills Supper Club, where 169 people were killed and the lives of thousands of others were changed in an instant. 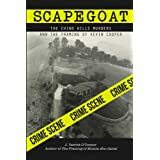 Unlike other publications, however, this is the true untoldstory of what led to Kentucky’s worst tragedy – a story of greed, corruption, deceit, mafia rule, government cover-ups, kidnapping, and even murder. In fact, this book details what should now be considered as the worst case of mass murder in United States history!